A couple of weeks ago, I saw this video by John Styn, talking about his Grandpa Caleb on the “Human” page on Facebook. If you can’t watch the video right now, the short version is that John Styn talks about a conversation with his Grandpa. John tells Grandpa that he always helps him see the glass as half full, but Grandpa is not looking at how much is in the glass, he’s looking at the glass. The message immediately seemed so profound to me, but I couldn’t quite put into words what it was. I understood it was about seeing a bigger picture; we pay so much attention to the things in the world, and forget all about the world. But that’s doesn’t sufficiently describe the depth of what I feel when watching the video and hearing John Styn say “he [Grandpa] leans back and he says ‘it’s a beautiful glass.” Of course, the world is big and important, but this revelation felt so much more personal to me. I figured it out today. In my recovery journey I have been struggling with understanding who I am without ED. Who am I outside of this body? Who am I without the overachieving that started in feelings of inadequacy, but got me the things I considered *good* in life (house, job, degree, etc)? Who would I be, if I wasn’t afraid? Today I realized that I am the glass. I am not the contents. Actively acting out in my eating disorder is half empty, making progress in my recovery is half full. But I AM not recovery and I am not disease. I am the vessel that holds both of those things. There is room for lots of half full and half empty things in my glass. Connectedness, peers, love, joy, half full, fear, pain, loneliness, suffering, half empty. The glass is big enough for the full half and the empty half. The glass itself is just as perfect whether it is half empty or whether it is half full. The glass itself also doesn’t change because the contents is hot or cold or sweet or bitter or thick or clear. The glass is just the glass; the container that holds whatever I choose to put in it. I am the glass. Half empty and half full and perfect. 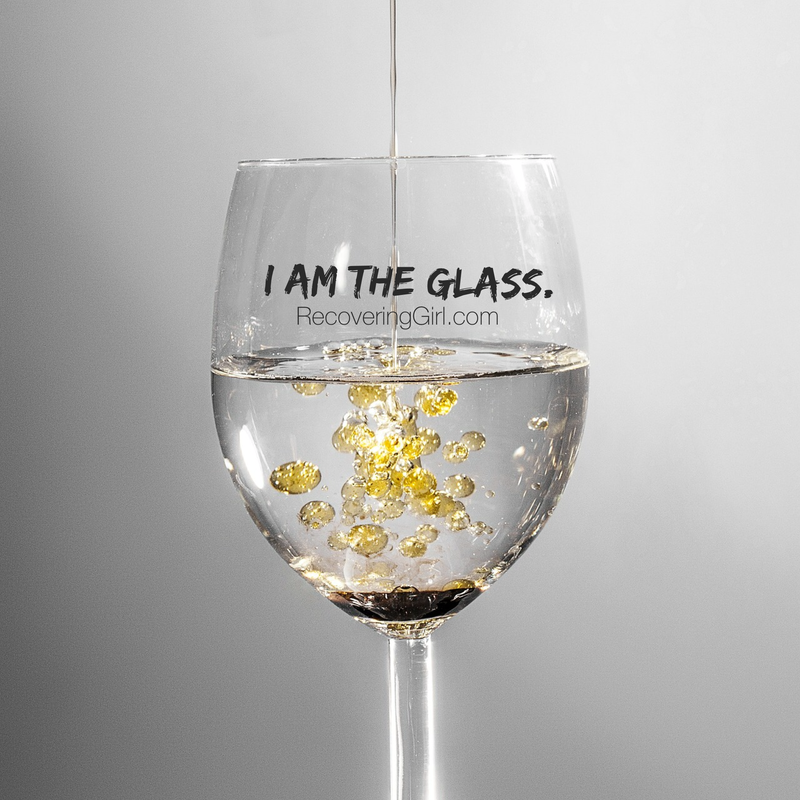 This entry was posted in Uncategorized and tagged Eating disorder, Grandpa Caleb, happiness, identity, it's a beautiful glass, John Styn, recovery. Bookmark the permalink.